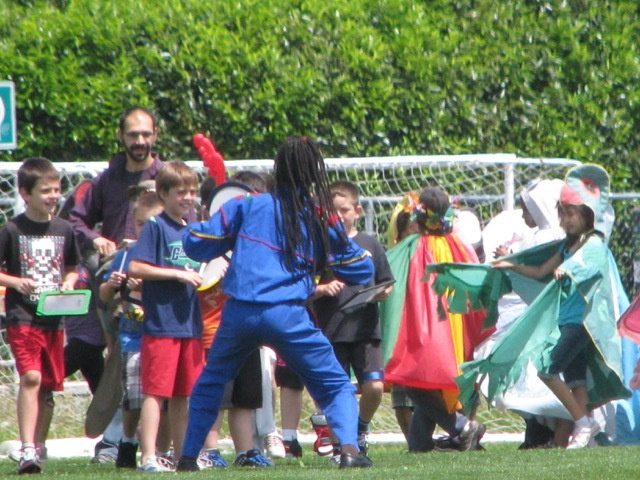 It’s A Musical Costumed Hourly Circus Parade! These International Performing Artists will guide YOU to become the Circus! 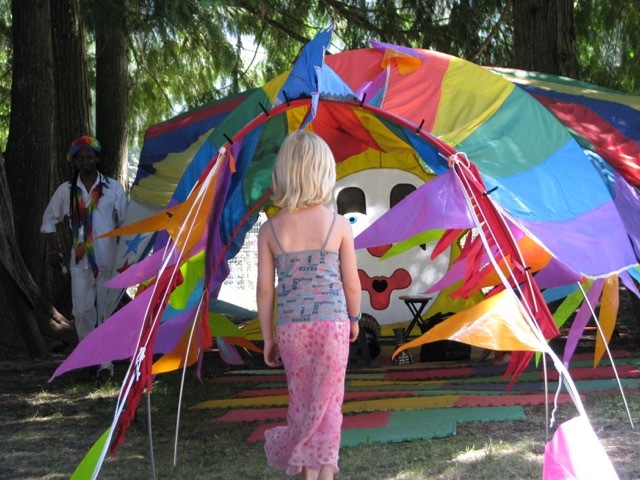 A multicolored Starchild Tent becomes the center piece for your festival site. 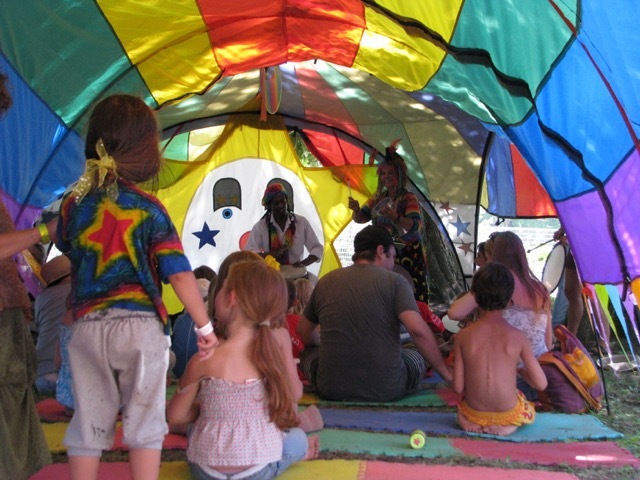 Groups of 30 can sit inside and enjoy story telling, sing-along in English and French. 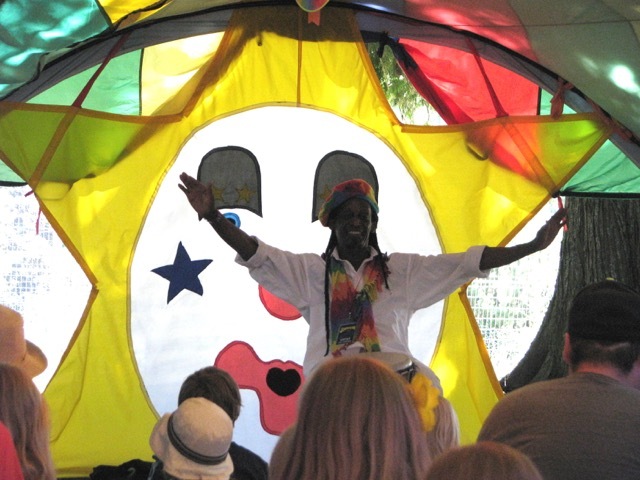 Musical playshop and Magic shows. THEN . 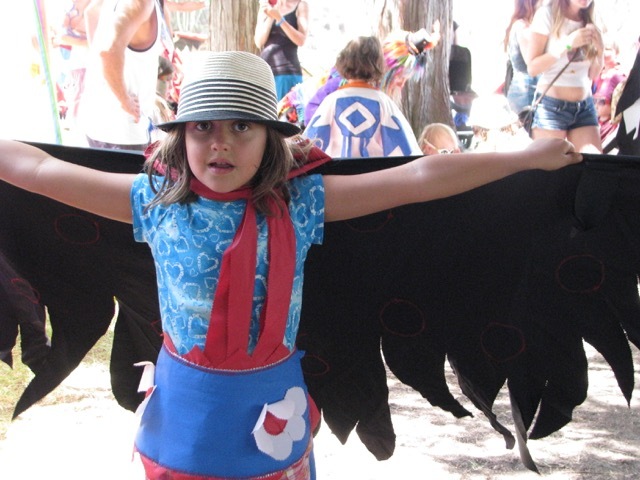 . . a series of rainbow capes, howly birds, hopping critters, hoopla & hulu costumes giant masks, stars and moon headdress fitting ages 3 to grownups , are ready to use for all to sport. 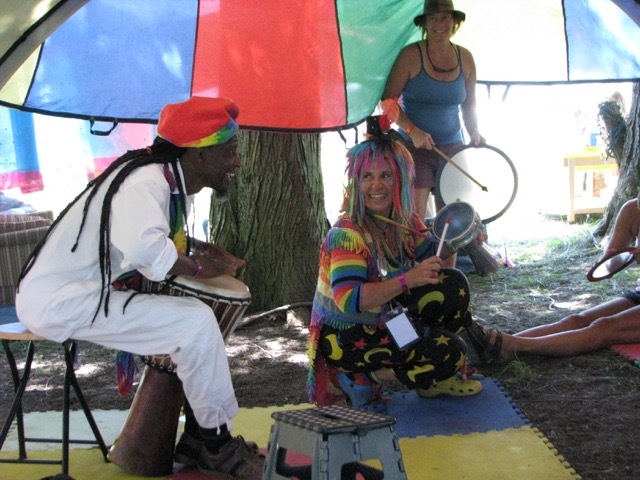 THEN . . Starchild gets you going and —Vegari adds shakers, rattles, bells, drums and leads you into a rocking rhythm parade! 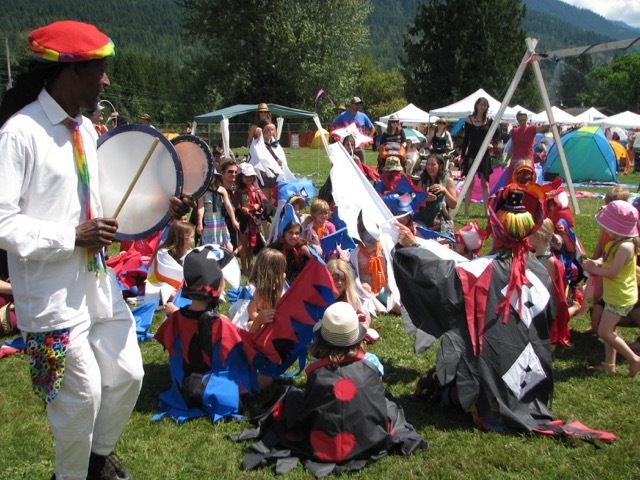 The Cirque Parade is a musical line of colours winding through your festival site! 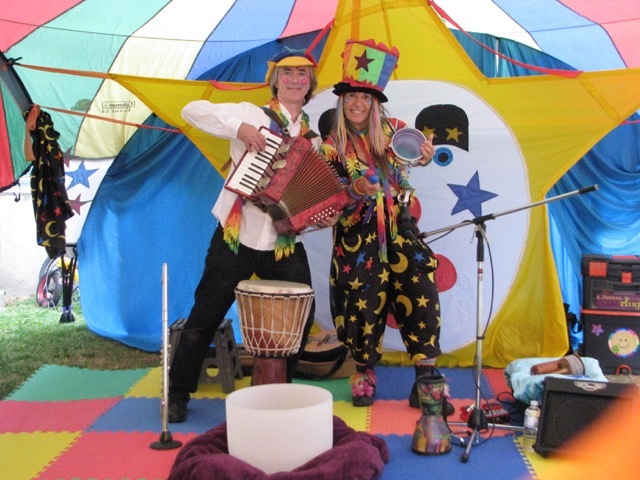 Starchild Entertainments combine music, comedy movement and heart to create an atmosphere of joy, laughter and celebration! 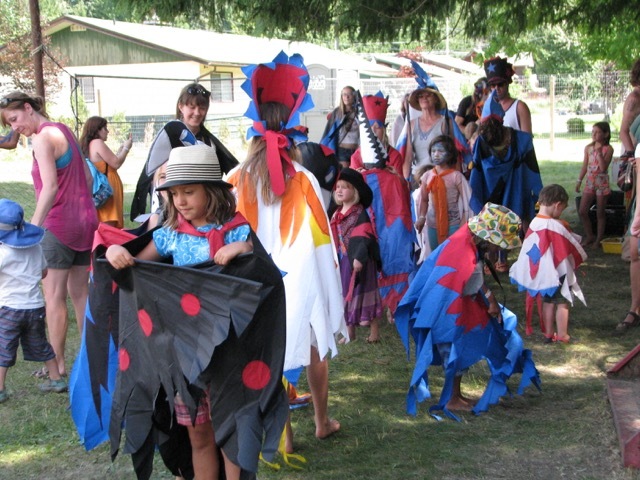 Cirque Parade is designed to meet your special needs!